With an increasing role of tropical forests supporting a range of ecosystem services, biodiversity conservation, water regulation, soil conservation, timber, non-timber forest products, carbon sequestration, and climate change mitigation, the importance of forest resources management has become very crucial. The tropical forests of Indochina countries are rich in biodiversity and carbon density, and thus are significant from social, ecological, political and economic aspects. These forests provide essential livelihoods to the local and indigenous people. Rapid economic growth, agriculture expansion, illegal logging, population growth, and urbanization have been reported as major contributors to almost all cases of deforestation. Due to rapid development, forest resources are at a great risk. The FRA 2010 report shows that deforestation caused a loss of about 13 million hectares of tropical forests per year from the year 2000 to 2010. Therefore, there is an urgent need for better management of these resources. This book partially contributes towards climate change mitigation by implementing the Reducing Emissions from Deforestation and forest Degradation (REDD+) mechanism. Achard F., Defries R., Eva H., Hansen M., Mayaux P., Stibig H. J., 2007. Pan-Tropical monitoring of deforestation. Environment Research Letters, 2, 045022, 1-11. Achard F., Stibig H., Eva H. D., Lindquist E. J., Bouvet A., Arino O., Mayaux P., 2010. Estimating tropical deforestation form earth observation data. Carbon Management, 1, 2, 271-287. Ahren F. J., Drdle T., Maclean D. A., Kneppeck I. D., 1991. A quantitative relationship between forest growth rates and thematic mapper reflectance measurements. International Journal of Remote Sensing, 12, 387-400. Ainsworth, T. L., Kelly, J. P., Lee, J. S., 2009. Classification comparisons between dual-pol, compact polarimetric and quad-pol SAR imagery. ISPRS Journal of Photogrammetry and Remote Sensing, 64, 464-471. Alberga V., 2007. A study of land cover classification using polarimetric SAR parameters. International Journal of Remote Sensing, 28, 17, 3851-3870. Amariei L., 2004. Capacity building for law compliance in the forest sector case study: Cambodia. Final report prepared for FAO/ITTO, 1-30. An W., Xie C., Yuan X., Cui Y., Yang J., 2011. Four-component decomposition of polarimetric SAR images with deorientation. IEEE Transactions on Geoscience and Remote Sensing, doi: 10.1109/LGRS.2011.2157078. Anderson M. C., Neale C. M. U., Li F., Norman J. M., Kustas W. P., Jayanthi H., Chavez J., 2004. Upscaling ground observations of vegetation water content, canopy height, and leaf area index during SMEX02 using aircraft and Landsat imagery. Remote Sensing of Environment, 92, 447–464. Angelsen A., 2008. Moving ahead with REDD Issues, options and implications, CIFOR, Indonesia. Angelsen A., 2009. Realising REDD+ national strategy and policy options. CIFOR, Indonesia. Angelsen A., Brown S., Loisel C., Peskett L., Streck C., Zarin D., 2009. Reducing Emissions from Deforestation and Forest Degradation (REDD): an options assessment report. Washington, DC: Meridian Institute. Ashwall D., Ogonowski M., Neou S., McCulloch C., 2011. Assisting Cambodian policymakers with designing REDD plus approaches under a post-2012 international climate change policy framework. Center for Clean Air Policy, 45-47. Asner P. G., 2009. Tropical forest carbon assessment: integrating satellite and airborne mapping approaches. Environment Research Letter, 4, 1-11. Asner G. P., Powell G. V. N., Mascaro J., Knapp D. E., Clark J. K., Jacobson J., Kennedy-Bowdoin T., Balaji A., Paez-Acosta G., Victoria E., Secada L., Valqui M., Hughes R. F., 2010. High-resolution forest carbon stocks and emissions in the Amazon. PNAS, doi/10.1073/pnas.1004875107. Austin J. M., Mackey B. G., Van Niel K. P., 2003. Estimating forest biomass using satellite radar: an exploratory study in a temperate Australian Eucalyptus forest. Forest Ecology and Management, 176, 1-3, 575-583. Avtar R., W. Takeuchi, H. Sawada, 2011a. Full Polarimetric PALSAR based Land Cover Monitoring in Cambodia for Implementation of REDD Policies. International Journal of Digital Earth. DOI:10.1080/ 17538947. 2011.620639. Avtar R., H. Sawada, W. Takeuchi, G. Singh 2011b. Characterization of Forests and Deforestation in Cambodia Using ALOS/PALSAR Observation. Geocarto International. DOI:10.1080/10106049.2011. 626081. Avtar R., W. Takeuchi, H. Sawada, 2011c. Assessment of Cashew and Rubber plants biophysical parameters based on ALOS/PALSAR data. Seisan-Kenkyu, 63, 4, 51-54. Backeus S., 2009. Forest management strategies for CO2 mitigation. Doctoral thesis, Swedish University of Agricultural Sciences. Balmford, A., Green, R.E. & Jenkins, M., 2003. Measuring the changing state of nature. Trends in Ecology & Evolution, 18, 7, 326-330. Beaudoin A., Le Toan T., Goze S., Nezry E., Lopes A., Mougin E., 1994. Retrieval of forest biomass from SAR data. International Journal of Remote Sensing, 15, 4, 2777-2796. Bhang K. J., Schwartz F. W., Braun A., 2007. Verification of the vertical error in C-band SRTM-DEM using ICESat and Landsat-7, Otter Tail County, MN. IEEE Transactions on Geoscience and Remote Sensing, 45, 1, 36–44. Blaser J., Sarre A., Poore D., Johnson S., 2011. Status of Tropical Forest Management 2011. IT TO Technical Series No 38. International Tropical Timber Organization, Yokohama, Japan, 146-157. Burgess N.D., Bahane B., Clairs T., 2010. Getting ready for REDD + in Tanzania: a case study of progress and challenges. Oryx, 44, 339–351. BPAMP. 2007. Cambodia’s National Protected Area System: A Gap Analysis of its Representativeness and Effectiveness. Biodiversity and Protected Areas Management Project, Phnom Penh, Ministry of Environment Cambodia. Bravo E., LeMay V., Jandl R., Gadow K. V., 2008. Managing forest ecosystems: The challenges of climate change. Springer publication, 179-192. Bray, D. B., E. Duran, V. H. Ramos, J.-F. Mas, A. Velazquez, R. B. McNab, D. Barry, and J. Radachowsky. 2008. Tropical deforestation, community forests, and protected areas in the Maya Forest. Ecology and Society 13, 2, 56. Breugel M. V., Ransijin J., Craven D., Bongers F., Hall J. S., 2011. Estimating carbon stock in secondary forests: Decisions and uncertainties associated with allometric biomass models. Forest Ecology and Management, doi:10.1016/j.foreco.2011.07.018. Brown S., Gaston G., 1995. Use of forest inventories and geographic information systems to estimate biomass density of tropical forests: Application to tropical Africa. Environmental Monitoring and Assessment, 38, 2-3, 157-168. Brown S., 1997. Estimating biomass and biomass change of tropical forests: A primer. FAO Forestry Paper 134, Rome, 55. Brown S., 2002. Measuring carbon in forests: current status and future challenges. Environmental Pollution, 116, 363–72. Bunker D. E., DeClerck F., Bradford J. C., Colwell R. K., Perfecto I., Phillips O. L., Sankaran M., Naeem S., 2005. Species loss and aboveground carbon storage in a tropical forest. Science, 310, 1029–1031. Butler R., 2006. Calculating the value of avoided deforestation. Retrieved from: http://news.mongabay.com/2006/1031-deforestation.html. Carle J., Holmgre P., 2008. Wood from planted forests: A global outlook 20052030. Forest Products Journal, 58, 12, 6-18. Castro K., Sanchez-Azofe ifa G., Rivard B., 2003. Monitoring secondary tropical forests using space-borne data: Implications for Central America. International Journal of Remote Sensing, 24, 1853 − 1894. Chao, L. 2009. Agricultural mechanization and agricultural development strategies in Cambodia. Country report for fifth session of the technical committee of UNAPCAM.14-15 October 2009, Los Banos. Chen qi., 2010. Assessment of terrain elevation derived from satellite laser altimetry over mountainous forest areas using airborne lidar data. ISPRS Journal of Photogrammetry and Remote Sensing, 65, 1, 111-122. Clark M. L., Clark D. B., Roberts D. A., 2004. Small-footprint lidar estimation of subcanopy elevation and tree height in a tropical rain forest landscape. Remote Sensing of Environment, 91, 1, 68–89. Claudia C. C., Harding D. J., 2006. SRTM C-band and ICESat laser altimetry elevation comparisons as a function of tree cover and relief. Photogrammetric Engineering & Remote Sensing, 72, 3, 287-298. Cloude S.R., Pottier E., 1997. An entropy based classification scheme for land applications of polarimetric SAR. IEEE Transactions on Geoscience and Remote Sensing, 35, 1, 68-78. Cohen W. B., Spies T. A., Fiorella M., 1995. Estimating the age and structure of forest in a multi-ownership landscape of western Oregon. International Journal of Remote Sensing, 16, 721-746. Cohn S. A., Mayor S. D., Grund C. J., Weckwerth T. M., Senff C., 1998. The Lidars in flat terrain (LIFT) experiment. Bulletin of American Meteorological Society, 79, 7, 1329-1343. Collins J. N., Hutley L. B., Williams R. J., Boggs G., Bell D., Bartolo R., 2009. Estimating land-scape vegetation carbon stocks using airborne multi-frequency polarimetric synthetic aperture radar (SAR) in the savannahs of north Australia. International Journal of Remote Sensing, 30, 5, 1141-1159. Congalton R. G., 1991. A review of assessing the accuracy of classification of remote sensing data. Remote Sensing of Environment, 37, 35-46. Coops N. C., 2002. Eucalypt forest structure and synthetic aperture radar backscatter: a theoretical analysis. Trees, 16, 28-46. Costenbader J., 2011. REDD+ benefit sharing: A comparative assessment of three national policy approaches. Forest Carbon Partnership, 33-49. Cotula L., Mayers J., 2009. Tenure in REDD – Start-point or afterthought? Natural Resource Issues No. 15. International Institute for Environment and Development. London, UK. Crocker C. D., 1962. The soils of Cambodia, exploratory survey. Royal Cambodian Government Soil Commission and USAID Joint Publication, Phnom Penh, 83. Danielsen, F., Skutsch, M., Burgess, N. D., Jensen, P. M., Andrianandrasana, H., Karky, B., Lewis, R., Lovett, J. C., Massao, J., Ngaga, Y., Phartiyal, P., Poulsen, M. K., Singh, S. P., Solis, S., Sorensen, M., Tewari, A., Young, R. and Zahabu, E., 2011. At the heart of REDD+: a role for local people in monitoring forests?. Conservation Letters, 4, 2, 158‐167. Dixon R. K., Brown S., Houghton R. A., Solomon A. M., Trexler M. C., Wisniewski J., 1994. Carbon pools and flux of global forest ecosystems. Science 263, 185-190. Djomo A. N., Knohl A., Gravenhorst G., 2011. Estimations of total ecosystem carbon pools distribution and carbon biomass current annual increment of a moist tropical forest. Forest Ecology Management, doi:10.1016/j.foreco.2011.01.031. Dobson M. C., Ulaby F. T., Le Toan T., Beaudoin A., Kasischke E. S., Christensen N., 1992. Dependence of radar backscatter on coniferous forest biomass. IEEE Transaction on Geoscience and Remote Sensing, 30, 412–415. Dobson M. C., Ulaby F. T., Pierce L.E., Sharik T. L., Bergen K. M., Kellndorfer J., Kendra J. R., Li E., Lin Y.C., Nashashibi A., Sarabandi K. L., Siqueira P., 1995. Estimation of Forest Biophysical Characteristics in Northem Michigan with SIR-C/X-SAR. IEEE Transactions on Geoscience and Remote Sensing, 33, 4, 877-896. Dong J., Kaufmann R. K., Myneni B. R., Tucker J. C., Kauppi E. P., liski J., Buermann W., Alexeyev V., Hughes K. M., 2003, Remote sensing estimates of boreal and temperate forest woody biomass: carbon pools, sources, and sinks, Remote sensing of environment, 84, 393-410. Drake J. B., Dubayah R. O., Clark D. B., Knox R. G., Blair J. B., Hofton M. A., Chazdon R. L., Weishampel J. F., Prince S. D., 2002. Estimation of tropical forest structural characteristics using large-footprint lidar. Remote Sensing of Environment, 79, 305–319. Drake J. B., Knox R. G., Dubayah R. O., Clark D. B., Condit R., Blair J. B., Hofton M. A., 2003. Above-ground biomass estimation in closed canopy neotropical forests using lidar remote sensing: Factors affecting the generality of relationships. Global Ecology and Biogeography, 12, 147–159. Drezet P. M. L., Quegan S., 2007. Satellite-bsed radar mapping of British forest age and Net Ecosystem Exchange using ERS tandem coherence. Forest Ecology and Management, 238, 65-80. Dudley R. G., 2010. A little REDD model to quickly compare possible baseline and policy scenarios for reducing emissions from deforestation and forest degradation. Mitigation and Adaptation Strategies for Global Change 15, 1, 53-69. Dwyer J. M., Fensham R., Buckley Y. M., 2010. Restoration thinning accelerates structural development and carbon sequestration in an endangered Australian ecosystem. Journal of Applied Ecology, 47, 681–691. Economic land concession, MAFF, 2010. http://www.elc.maff.gov.kh/en/ news/12-elc-status.html (access on 19/09/2011). Englhart S., Keuck V., Siegert F., 2011. Aboveground biomass retrieval in tropical forests – the potential of combined X- and L-band SAT data use. Remote Sensing of Environment, doi:10.1016/j.rse.2011.01.008. Erikson L. E. B., Santoro M., Fransson J. E. S., 2008. Temporal decorrelation for forested areas observed in spaceborne L-band SAR interferometry. IGARSS, 2008. Evans J., Turnbull J., 2004. Plantation Forestry in the Tropics (3rd ed. ), Oxford University Press, Oxford. Evans J., 2009. Forests uses, impacts & sustainability, FAO, MPG Books group, UK. F. A., 2006. Community forestry statistics. F. A., 2009. Community forestry statistics. Fang C., Wen H., 2005. A new classification method based on Cloude Pottier eigenvalue/eigenvector decomposition. IGARSS, 2005. Fang C., Wen H., Yirong W., 2006. An improved Cloude-Pottier decomposition using H/α/SPAN and complex Wishart classifier for polarimetric SAR classification. CIE06, International conference on Radar, Shanghai. Fang J. Y., Wang G. G., Liu G. H., Xu S. L., 1998. Forest biomass of China: an estimate based on the biomass–volume relationship. Ecological Applications, 8, 4, 1084–1091. FAO, 2005. Global Forest Resources Assessment, Food and Agriculture Organisation of the United Nations, Rome. FAO, 2006, Global forest resources assessment 2005: Progress towards sustainable forest management, FAO Forestry Paper 147. FAO, Rome, Italy. FAO, 2010. Global forest resources assessment 2010 country report: Cambodia. http://www.fao.org/docrep/013/al470E/al470E.pdf (access on: 06/03/2011). FAO, 2010. Planted forests in sustainable forest management: A statement of principles. Fassnacht K. S., Gower S. T., MacKenzie M. D., Nordheim E. V., Lillesand T. M., 1997. Estimating the leaf area index of North Central Wisconsin forests using the landsat thematic mapper. Remote Sensing of Environment, 61, 229–245. Ferro-Famil L., Pottier E., Lee J. S., 2001. Unsupervised classification of multifrequency and fully polarimetric SAR images based on the H/A/Alpha Wishart classifier. IEEE Transactions on Geoscience and Remote Sensing, 39, 11, 2332-2342. Foody G. M., Boyd D. S., Cutler M. E. J., 2003. Predictive relations of tropical forest biomass from Landsat TM data and their transferability between regions. Remote Sensing of Environment, 85, 4, 463–474. Forest Administration., 2010. Cambodia Forestry Outlook Study. Prepared by the Forest Administration, Cambodia. Asia-Pacific Forestry Sector Outlook Study II. Working Paper No. APFSOS II/WP/2010/32. FAO, Bangkok, Thailand. Fox, J. M., McMahon, D., Poffenberger, M., Vogler, J., 2008. Land for My Grandchildren: Land Use and Tenure Change in Ratanakiri: 1989-2006. Community Forestry International and the East West Center. FRA., 2005. Global Forest Resources Assessment, Food and Agriculture Organisation of the United Nations, Rome. FRA., 2010. Global Forest Resources Assessment, Food and Agriculture Organisation of the United Nations, Rome. Fricher H. A., Borsa A., Minster B., Carabajal C., Quinn K., Bills B., 2005. Assessment of ICESat performance at the salar de Uyuni, Bolivia. Geophysical Research Letters, 32, L21S06, 5. Fry, B. F. B., 2011. Community forest monitoring in REDD+: the 'M' in MRV?. Environmental Science and Policy, 14, 2, 181-187. Gama F. F., dos Santos J. R., Mura J. C., 2010. Eucalyptus biomass and volume estimation using interferometric and polarimetric SAR data. Remote Sensing, 2, 939−956. Gardner T. A., Barlow J., Chazdon R., Ewers R. M., Harvey C.A., Peres C. A., Sodhi N. S., 2009. Prospects for tropical forest biodiversity in a human-modified world. Ecological letters, 12, 561-582. Gaughan A. E., Binford M. W., Southworth J., 2009. Tourism, forest conversion, and land transformations in the Angkor basin Cambodia. Applied Geography, 29, 212-223. Gibbs H. K., Brown S., Niles J. O., Foley J. A., 2007a. Monitoring and estimating tropical forest carbon stocks: making REDD a reality. Environmental Research Letter, 2, 045023, 13. Gillis M. D., 2001. Canada’s national forest inventory (Responding to current information needs). Environmental Monitoring Assessment, 67, 121-129. Global Forest Coalition, 2009. REDD Realities: How strategies to reduce emissions from deforestation and forest degradation could impact on biodiversity and Indigenous Peoples in developing countries. Asunción, Paraguay. Griffiths T., 2007. Seeing ‘RED’? : Avoided deforestation’ and the rights of Indigenous Peoples and local communities. Forest Peoples Programme. Moreton-in-Marsh, UK. Guerra J. B., Freitas C. D. C., Mura J. C., 2008. Evaluating potential of band polar data to discrimination increment areas in Amazon rain forest. Proceedings of IEEE IGARSS08. Hair J. F., Anderson JR R.E., Tatham R.L., Black W.C., 1998. Multivariate data analysis, 5th Ed. Prentice Hall, Upper Saddle River, NJ. 730. Hajnsek I., Kugler F., Lee S. K., Papathanassiou K.P., 2009. Tropical forest parameter estimation by means of Pol-In-SAR: The INDREX-II campaign. IEEE Transactions on Geoscience and Remote Sensing, 47, 2, 481-493. Hamdan O., Aziz H. K., Rahman K. A., 2011. Remotely sensed L-band SAR data for tropical forest biomass estimation. Journal of Tropical Forest Science, 23, 3, 318-327. Hansen, K. and Top, N. 2006. Economics of Land Use Changes in Cambodia CDRI Cambodia Development Review 10, 2, 6-8. Harrell P. A., Bourgeau-Chavez L. L., Kasischke E. S., French N. H. F., Christensen N. L., 1995. Sensitivity of ERS-1 and JERS-1 radar data to biomass and stand structure in Alaskan boreal forest. Remote Sensing of Environment, 54, 247–253. Heng S., and Shigeru I., 2002. Community forestry in northern Cambodia – formation process and regulations. Journal of the Faculty of Agriculture, Kyushu University, 55, 3, 21-26. Hunt C. A. G., 2009. Carbon sinks and climate change: forests in the fight against global warming: e-book. Cheltenham: Edward Elgar. Imhoff M. L., 1995. Radar backscatter and biomass saturation-Ramiﬁcations for global biomass inventory. IEEE Transactions on Geoscience and Remote Sensing, 33, 2, 511–518. Imhoff M. L., Sisk T. D., Milne A., Morgan G., Orr T., 1997. Remotely sensed indicators of habitat heterogeneity: use of synthetic aperture radar in mapping vegetation structure and bird habitat. Remote Sensing of Environment, 60, 217–227. IPCC., 2007. The Physical science basis: summary for policymakers, Intergovernmental Panel on Climate Change 2007. Islam Md. N., Kurttila M., Mehtatalo L., Pukkala T., 2010. Inoptimality losses in forest management decisions caused by errors in an inventory based on airborne laser scanning and aerial photographs. Canadian Journal of Forest Research, 40, 2427-2438. JAFTA., 2010. Study project on information analysis and management for forest cover change assessment in the Mekong River basin, Cambodia. 9-21 (unpublished report). Jensen J. R., 2000. Remote sensing of the environmental an earth resource perspective. Prentice Hall U. K.
Kaipainen, T., Liski, J., Pussinen, A., and Karjalainen, T., 2004. Managing carbon sinks by changing rotation length in European forests. Environmental Science & Policy 7(3), 205-219. Kasischke E. S., Melack J. M., Dobson M. C., 1997. The use of imaging radars for ecological applications- A review. Remote Sensing of Environment, 59, 2, 141–156. Kasischke E., Bourgeau-Chavez S., Laura L., Rober Allison R., Wyatt Kevin H., Waddington James M., Turetsky Merritt R., 2009. Effects of soil moisture and water depth on ERS SAR backscatter measurements from an Alaskan wetland complex. Remote sensing of Environment, 113, 1868-1873. Kellomäki, S. and Leinonen, S., 2005. Management of European forests under changing climate conditions. Joensuu: University of Joensuu, Faculty of Forestry. Tiedonantoja 163. Kenward T., Lettenmaier D. P., Wood E. F., Fielding E., 2000. Effects of Digital Elevation Model accuracy of hydrologic predictions. Remote Sensing of Environment. 74, 432-444. Kenzo T., Furutani R., Hattori D., Kendawang J. J., Tanaka S., Sakurai K., Ninomiya I., 2009. Allometric equations for accurate estimation of above ground biomass in logged over tropical rainforests in Sarawak, Malaysia. Journal of Forestry Research, 14, 365-372. Khatun K., 2011. Reconciling timber provision with carbon sequestration opportunities in the tropical forests of Central America. Environmental Science and Policy, doi: 10.1016/j.envsci.2011.05.018. Kim Phat., Ouk N., Uozumi Y., Ueki T., 2001. A case study of current situation for forest concession in Cambodia-constraints and prospects. Journal of Forest Planning, 7, 2, 59-67. Kim Y., Van Zyl J., 2001. Comparison of forest estimation techniques using SAR data, Proc. IGARSS2001. Kiyono Y., Furuya N., Sum T., Umemiya C., Itoh E., Araki M., Matsumoto M., 2010. Carbon stock estimation by forest measurement contributing to sustainable forest management in Cambodia. Japan Agricultural Research Quarterly, 44, 1, 81-92. Knuth R., Thiel C., Thiel C., Eckardt R., Richter N., Schmullius C., 2009. Multisensor analysis for forest monitoring in boreal and tropical forest environments. Proceedings of IEEE IGARSS09. Kongrattanachok P., 2005. Carbon sequestration in cassava and para rubber plantation, Rayong province. Master thesis, Mahidol University. Kuplich T. M., Curran P. J., Atkinson P. M., 2005. Relating SAR image texture to the biomass of regenerating tropical forests. International Journal of Remote Sensing, 26, 21, 4829-4854. Lackey R. T., 1998. Seven pillars of ecosystem management. Landscape and urban planning, 40, 21-30. Lal M., and Singh R., 2000. Carbon sequestration potential of Indian forests. Environmental Monitoring and Assessment, 60, 315-327. Lal R., 2008. Carbon sequestration. Philosophical Transactions of the Royal Society B, 363, 815-830, 2008. Lamb D., 2011. Regreening the bare hills: Tropical forest restoration in the Asia-Pacific region, Springer, New York. Lamb D., Erskine P. D., Parrotta J. A., 2005. Restoration of degraded tropical forest landscapes. Science, 310, 5754, 1628-1632. Larrazabal A. P., and Skutch M., 2011. A review of experience of community monitoring for REDD+. Input paper no. 2 for the FCPF workshop, Mexico City, 1-16. Lavalle M., Solimini D., Pottier E., 2008. PolinSAR for forest biomass retrieval: PALSAR observations and model analysis. Proceedings of IEEE, IGARSS 08. Le Toan T., Beaudoin A., Riom J., Guyon D., 1992. Relating Forest Biomass to SAR Data. IEEE Transaction on Geoscience and Remote Sensing, 30, 403–411. Le Toan T., Quegan S., Davidson M.W.J., Balzter H., Paillou P., Papathanassiou K., Plummer S., Rocca F., Saatchi S., Shugart H., Ulander L., 2011. The BIOMASS mission: Mapping global forest biomass to better understand the terrestrial carbon cycle, Remote Sensing of Environment, doi:10.1016/j.rse.2011.03.020. Le Toan T., Quegan S., Davidson M. W. J., Balzter H., Paillou P., Papathanassiou K., Plummer S., Rocca F., Saatchi S., Shugart H., Ulander L., 2011. The BIOMASS mission: Mapping global forest biomass to better understand the terrestrial carbon cycle. Remote Sensing of Environment, doi:10.1016/j.rse.2011.03.020. Lee J. S., Ainsworth T. L., Chen K., 2008. Speckle filtering of dual polarization and polarimetric SAR data based on improved sifma filter. IEEE IGARSS, IV 21-24. Lee J. S., Grunes M. R., Ainsworth T. L., Du Li., Schuler D. L., Cloude S. R., 1999. Unsupervised classification using polarimetric decomposition and the complex Wishart classification. IEEE Transactions on Geoscience and Remote Sensing, 37, 5, 2249-2258. Lee J. S., Pottier E., 2009. Polarimetric radar imaging: from basics to application, CRC Press, Taylor and Francis Group, Boca Raton. Lee J. S., Wen J., Ainsworth T. L., Chen K., Chen A. J., 2009. Improved sigma filter for speckle filtering of SAR imagery. IEEE Transactions on Geoscience and Remote Sensing, 47, 1, 202-213. Lefsky M. A., Cohen W. B., Harding D. J., Parker G. G., Acker S. A., Gower S. T., 2002. Lidar remote sensing of above-ground biomass in three biomes. Global Ecology and Biogeography, 11, 5, 393–399. Lefsky M. A., Harding D. J., Keller M., Cohen W. B., Carabajal C. C., Del Bom EspiritoSanto F., Hunter M. O., de Oliveira Jr R., 2005. Estimates of forest canopy height and aboveground biomass using ICESat. Geophysical Research Letters, 32, L22S02. Lin Y., Sarabandi K., 1999. Retrieval of forest parameters using a fractal-based coherent scattering model and a genetic algorithm. IEEE Transactions on Geoscience and Remote Sensing, 37, 3, 1415-1425. Ling F., Chen Z., Wang Q., 2009. Comperison of ALOS PALSAR RVI and Landsat TM NDVI for forest area mapping. IEEE, APSAR 2009. Liski, J., Palosuo, T., Peltoniemi, M. &Sievanen, R., 2005. Carbon and decomposition model Yasso for forest soils. Ecological Modelling, 189, 1-2, 168-182. Lu D., 2006, The potential and challenge of remote sensing-based biomass estimation, International Journal of Remote Sensing, 27, 7, 1297-1328. Lu D., 2005. Aboveground biomass estimation using Landsat TM data in Brazilian Amazon. International Journal of Remote Sensing, 26, 12, 2509-2525. Lucas R., Armston J., Fairfax R., Fensham R., Accad A., Carreiras J., Kelley J., Bunting P., Clewley D., Bray S., Metcalfe D., Dwyer J., Bowen M., Eyre T., Laidlaw M., Shimada M., 2010. An Evaluation of the ALOS PALSAR L-Band Backscatter—Above Ground Biomass Relationship Queensland, Australia: Impacts of Surface Moisture Condition and Vegetation Structure. Selected Topics in Applied Earth Observations and Remote Sensing, IEEE Journal of 3, 4, 576-593. Lucas R.M., Cronin N., Lee A., Moghaddam M., Witte C., Tickle, P., 2006. Empirical relationships between AIRSAR backscatter and LiDAR-derived forest biomass, Queensland, Australia. Remote Sensing of Environment, 100, 407–425. Luckman A., Baker J., Kuplich T. M., Yanasse C. D. F., Frery A. C., 1997. A study of the relationship between radar backscatter and regenerating tropical forest biomass for spaceborne SAR instruments. Remote Sensing of Environment, 60, 1, 1–13. Luckman A., Baker J. R., Honzak M., Lucas R., 1998. Tropical Forest Biomass Density Estimation using JERS-1 SAR: Seasonal Variation, Confidence Limits and Application to Image Mosaics. Remote Sensing of Environment, 63, 126-139. Macelloni G., Paloscia S., Pampaloni P., Marliani F., Gai M., 2001. The relationship between the backscattering coefficient and the biomass of narrow and broad leaf crops. IEEE Transactions on Geoscience and Remote Sensing, 39, 873–884. MAFF., 2004. Agricultural Statistics 2003-2004. Phnom Penh, Cambodia, Ministry of Agriculture, Forestry and Fisheries. MAFE., 2010. Ministry of agriculture, forestry and fisheries report. (http://www.stats.maff.gov.kh/en/index.php?page=stat&mode=rubberdried&option=com_content&Itemid=101). Maire G., Marsden C., Nouvellon Y., Grinand C., Hakamada R., Stape J., Laclau J., 2011. MODIS NDVI time-series allow the monitoring of Eucalyptus plantation biomass. Remote Sensing of Environment, doi: 10.1016/j.rse.2011.05.017. Mallinis G., Koutsias N., Makras A., Karteris M., 2004. Forest Parameters Estimation in a European Mediterranean Landscape Using Remotely Sensed Data. Forest Science, 50, 4, 450-460. Maniatis D., 2010a. Metholologies to measure aboveground biomass in the Congo basin forest in a UNFCCC REDD+ context. Ph D thesis, University of Oxford. Maniatis D., Mollicone D., 2010b. Options for sampling and stratification for national forest inventories to implement REDD+ under the UNFCCC. Carbon Balance and Management, 5, 9, 1-14. Martin C. F., Thomas R. H., Krabill W. B., Manizade S. S., 2005. ICESat range and mounting bias estimation over precisely-surveyed terrain. Geophysical Research Letters, 32, L21S07. McDonald K. C., Ulaby F. T., 1993. Radiative transfer modeling of discontinuous tree canopies at microwave frequencies. International Journal of Remote Sensing, 14, 11, 2097-2128. McKenney, B. and Tola, P. 2002, Natural Resources and Rural Livelihoods in Cambodia: a Baseline Assessment. CDRI Working Paper No. 23. Phnom Penh. Meridian Institute, 2009a. Reducing emissions from deforestation and forest degradation: an options assessment report. Prepared for the Government of Norway, by Angelsen A., Brown S., Loisel C., Peskett L., Streck, C., Zarin, D., http://www.REDD-OAR.org. Meridian Institute, 2009b. REDD+ institutional options assessment. Prepared for the Government of Norway, by Streck C., Gomez-Echeverri L., Gutman P., Loisel C., Werksman J., http://www.REDD-OAR.org. Mette T., Papathanassiou K., Hajnsek I., Zimmermann R., 2003. Forest biomass estimation using polarimetric SAR interferometry. Proceedings of IGARSS’03, July 21-25, 2003, Toulouse, Italy. Mette T., Papathanassiou K., Hajnsek I., Pretzsch H., Biber P., 2004. Applying a common allometric equation to convert forest height from Pol-InSAR data to forest biomass. Proceedings of IGARSS’04, Sep. 20-24, 2004, Anchorage, USA. Mitchard E. T. A., Saatchi S. S., Woodhouse I. H., Nangendo G., Ribeiro N. S., Williams M., Ryan C. M., Lewis S. L., Feldpausch T. R., Meir P., 2009. Using satellite radar backscatter to predict above-ground woody biomass: A consistent relationship across four different African landscapes. Geophysical Research Letters, 36, L23401, doi:10.1029/ 2009GL040692. Mitchard E. T. A., Saatchi S. S., Lewis S. L., Feldpausch T. R., Woodhouse I. H., Sonke B., Rowland C., Meir P., 2011. Measuring biomass changes due to woody encroachment and deforestation/degradation in a forest–savanna boundary region of central Africa using multi-temporal L-band radar backscatter. Remote Sensing of Environment, doi:10.1016/ j.rse.2010.02.022. Mougin E., Proisy C., Marty G., Fromard F., Puig H., Betoulle J. L., Rudant J. P., 1999. Multifrequency and multipolarization radar backscattering from mangrove forestes. IEEE Transactions on Geoscience and Remote Sensing, 37, 1, 94-102. Nabuurs G. J., Masera O, Andrasko K, Benitez-Ponce P, Boer R,Dutschke M, Elsiddig E, Ford-Robertson J, Frumhoff P, Karjalainen T, Krankina O, Kurz WA, Matsumoto M, Oyhantcabal W, Ravindranath N. H., Sanz Sanchez M. J., Zhang X. 2007. Forestry. In: Metz B, Davidson OR, Bosch PR, Dave R, Meyer LA, editors. Climate change 2007: mitigation. Contribution of Working Group III to the Fourth Assessment Report of the Intergovernmental Panel on Climate Change. Cambridge (UK) and New York, NY (USA): Cambridge University Press.541-584. Naesset E., 1997. Determination of mean tree height of forest stands using airborne laser scanner data. ISPRS Journal of Photogrammetry and Remote Sensing, 52, 49–56. Nilsson M., 1996. Estimation of tree heights and stand volume using an airborne lidar system. Remote Sensing of Environment, 56, 1, 1–7. Ni-Meister W., Lee S., Strahler A. H., Woodcock C. E., Schaaf C., Yao T., Ranson J., Sun G., Blair J. B., 2010. Assessing general relationships between aboveground biomass and vegetation structure for improved carbon estimate form lidar remote sensing. Journal of Geophysical Research, 115, 1-12. NIS, 2008. General population census of Cambodia 2008. Provisional population totals, National Institute of Statistics, Ministry of Planning, Phnom Penh, Cambodia. Nizalapur V., Jha C. K., Masugundu R., 2010. Estimation of above ground biomass in Indian forested area using multi-frequency DLR-ESAR data. International Journal of Geomatics and Geosciences, 1, 2, 167-179. Oberndorf R. B. J. D., 2006. Legal analysis of forest and land laws in Cambodia. Community Forestry International, report, 1-38. Olander L. P., Gibbs H. K., Steininger M., Swenson J. J., Murray B. C., 2008. Reference scenarios for deforestation and forest degradation in support of REDD: a review of data and methods. Environment Research Letters, 3, 1-11. Omaliss K., 2010. REDD Development in Cambodia. Powerpoint Presentation. Tokyo, Japan. Ouarzeddine M., Aissa A. B., Souissi B., Belkhider M., Boulahbal S., 2005. Polarimetric classification using the Cloude/Pottier decomposition. PolinSAR, 2005. Ouarzedine M., Souissi B., Belhadj-Aissa A., 2009. Forest characterization and mapping using fully polarimetric SAR data. PolInSAR 2009, Italy. Page S. E., Hoscilo A., Langner A., Tansey K., Siegert F., Limin S., 2009. Chapter 9: Tropical peatland ﬁres in Southeast Asia. In M. A. Cochrane (Ed. ), Tropical ﬁre ecology: Climate change, land use, and ecosystems dynamics (263 − 287). Berlin: Springer-Praxis. Palmann C., Mavromatis M., Sequeira J., Brisco B., 2008. Earth observation using radar data: an overview of applications and challenges. International Journal of Digital Earth, 1, 171-195. Paloscia S., Macelloni G., Pampaloni P., Sigismondi S., 1999. The potential of C- and L-Band SAR in estimating vegetation biomass: The ERS-1 and JERS-1 experiments. IEEE Transactions on Geoscience and Remote Sensing, 37, 2107–2110. Papathanassiou K. P., Cloude S. R., 2003. The Effect of Temporal Decorrelation on the Inversion of Forest Parameters from Pol-InSAR Data. IEEE, IGARSS-03. Patel P., Srivastava H. S., Navalgund R. R., 2009. Use of synthetic aperture radar polarimetry to characterize wetland targets of Keoladeo National Park, Bharatpur, India. Current Science, 97, 4, 25, 529-537. Patenaude G., Milne R., Dawson T. P., 2005. Synthesis of remote sensing approaches for forest carbon estimation: reporting to the Kyoto Protocol. Environmental Science and Policy, 8, 2, 161-178. Paul, K. I., Polglase, P. J., Nyakuengama, J.G., Khanna, P.K., 2002. Change in soil carbon following afforestation. Forest Ecol. Manage. 168, 241–257. Peter K. V., 2007. Commercial crops technology. New India Publishing Agency (New Delhi, India). Phat K., Ouk N., Uozumi Y., Ueki T., 2001. A case study of the current situation for forest concessions in Cambodia. Journal of Forest Planning, 7, 2, 59-67. Phelps J., Webb E.L., Agrawal A., 2010. Does REDD + threaten to recentralize forest governance? Science, 328, 312–313. Phillips O. L., Malhi Y., Higuchi N., Laurance W. F., Percy V., Nunez P. V., Vasquez R. M., Laurance S. G., Ferreira L. V., Stern M., Brown S., Grace J., 1998. Changes in the carbon balance of tropical forests: evidence from long-term plots. Science, 282, 439–442. ffenberger, M., 2006. People in the forest: community forestry experiences from Southeast Asia. International Journal of Environment and Sustainable Development, 5, 1. Poffenberger M., 2009. Cambodia’s forests and climate change: Mitigating drivers of deforestation. Natural Resources Forum, 33, 285–296. Pohjola, J. and Valsta, L., 2007. Carbon credits and management of Scots pine and Norway spruce stands in Finland. Forest Policy and Economics 9, 7, 789-798. Pottier E., 1998. Unsupervised classification scheme and topography derivation of PolSAR data based on the H/α/A polarimetric decomposition theorem. International workshop on Radar polarimetry, France, 535-548. Pottier E., Ferro-Famil., Lee J. S., 2008. POLSARPRO V4.0 – lecture notes: Advanced concepts. [Internet] Available at: http://earth.esa.int/ polsarpro/. Pratihast A. K., and Herold M., 2011. Community based monitoring and potential links with national REDD+ MRV. Input paper no. 1 for the FCPF workshop, Mexico City, 1-13. Putz F. E., Zuidema P. A., Pinard M. A., Boot R. G. A., Sayer J. A., Douglas S., Sist P., Vanclay J. K., 2008. Improved tropical forest management for carbon retention. PLoS Biol, 6, 7, e166, 1368-1369. Qi Z., Yeh A. G., Li X., Lin Z., 2010. Land use and land cover classification using RADARSAT-2 polarimetric SAR image. IAPRS, XXXVIII, part 7A, 198-203. Ra, K., Pichdara, L., Dararath, Y., Jiao, X. Smith-Hall, C., 2011. Towards understanding household-level forest reliance in Cambodia-study sites, methods, and preliminary findings. Forest and Landscape, University of Copenhagen, working paper 60/2011, 7-11. Rajaona A. M., 2008. Comparative study of allometric parameters of Cashew tree (anacardium occidentale) In North East Brazil, Master thesis, University of Bonn. Ramankutty N., Gibbs H.K., Achard F., DeFries R., Foley J.A., Houghton R.A., 2007. Challenges to estimating carbon emissions from tropical deforestation. Global Change Biology. 13, 51-66. Ranson K. J., Sun G., 1994a. Mapping biomass of a northern forest using multifrequency SAR data. IEEE Transactions on Geoscience and Remote Sensing, 32,388–396. Ranson K. J., Sun G., 1994b. Northern forest classification using temporal multi frequency and multi-polarimetric SAR images. Remote Sensing of Environment, 47, 2, 142-153. Ranson K. J., Sun G., 1997. An evaluation of AIRSAR and SIRC/X-SAR images for mapping northern forests attributes in Maine, USA. Remote Sens Environ, 59, 203–222. Rauste Y., Hammer T., Pulliainen J., Hallikainen M., 1994. Radar-based forest biomass estimation. International journal of remote sensing, 15, 14, 2791-2808. Ravindranath N. H., and Ostwald M., 2008. Carbon inventory methods, Handbook for greenhouse gas inventory, carbon mitigation and roundwood production projects. Springer, ISBN-13: 978-1-4020-6546-0. REDD., 2010. Source book. GOFC-GOLD. Ribbes F., Toan T.L., Bruniquel J., Floury N., Syussi N., Liew S.C., Wasrin U.R., 1997. Forest mapping in tropical region using multitemporal and interferometric ERS-1/2 data. In: Proceedings of the 3rd ERS symposium on space at the service of our environment, Florence, Italy, Estec, Noodrwijk, The Netherlands, 351–356 ESA SP-414. Rignot E., Way J., 1994. Monitoring freeze-thaw cycles along north-south Alaskan transects using ERS-1 SAR. Remote Sensing of Environment, 49, 131–137. Rignot E. J., Zimmermann R., Vanzyl J. J., 1995. Spaceborne applications of P band imaging radars for measuring forest biomass. IEEE Transactions on Geoscience and Remote Sensing, 33, 5, 1162-1170. Rosenqvist A., Milne A., Lucas R., Imhoff M., Dobson C., 2003. A review of remote sensing technology in support of the Kyoto Protocol. Environmental Science and Policy, 6, 441–455. Rudel T. K., Defries R., Asner G. P., Laurance W. F., 2009. Changing drivers of deforestation and new opportunities for conservation. Conservation Biology, 23, 6, 1396-1406. Running, S. W., Nemani, R. R., 1988. Relating the seasonal pattern of the AVHRR normalized difference vegetation index to simulated photosynthesis and transpiration of forests in different climates. Remote Sens. Environ. 17, 472–483. Running, S. W., Nemani, R. R., Peterson, D. L., 1989. Mapping regional forest evapotranspiration and photosynthesis by coupling satellite data with ecosystem simulation. Ecology, 70, 1090–1101. Ruste Y., Hame T., Pulliainen J., Heiska K., Hallikainen M., 1994. Radar-based forest biomass estimation. International Journal of Remote Sensing, 15, 2797-2808. Saatchi S. S., Harris N. L., Brown S., Lefsky M., Mitchard E. T. A., Salas W., Zutta B. R., Buermann W., Lewis S. L., Hagen S., Petrova S., White L., Silman M., Morel A., 2011. Benchmark map of forest carbon stocks in tropical regions across three continents, PNAS 2011, 108, 9899-9904, doi:/10.1073/pnas.1019576108. Sader S. A., Waide R. B., Lawrence W. T., Joyce A. T., 1989. Tropical forest biomass and successional age class relationships to a vegetation index derived from Landsat TM data. Remote Sensing of Environment, 28, 143–156. Sales M. H., Souza Jr C. M., Kyriakidis P. C., Roberts D. A., Vidal E., 2007. Improving spatial distribution estimation of forest biomass with geostatistics: A case study for Rondonia, Brazil. Ecological Modelling, 205, 1-2, 221-230. Sandberg G., Ulander L. M. H., Fransson J. E. S., Holmgren J., Le Toan T., 2011. L- and P-band backscatter intensity retrieval in heniboreal forest. Remote Sensing of Environment, doi:10.1016/j.rse.2011.03.018. Santoro M., Eriksson L., Askne L. J., Schmullius C., 2006. Assessment of standwise stem volume retrieval in boreal forest from JERS-1 L-band SAR backscatter. International Journal of Remote Sensing, 27, 16, 3425–3454. Santos J. R., Freitas C. C., Araujo L. S., Dutra L. V., Mura J. C., Gama F. F., Soler L. S., Sant'Anna S. J. S., 2003. Airborne P-band SAR applied to the aboveground biomass studies in the Brazilian tropical rainforest. Remote Sensing of Environment, 87, 4, 482–493. Sarabandi K., Lin Y. C., 2000. Simulation of interferometric SAR response for characterizing the scattering phase center statistics of forest canopies. IEEE Transactions on Geoscience and Remote Sensing, 38, 1, 115-125. Sasaki N., Yoshimoto A., 2010. Benefits of tropical forest management under the new climate change agreement-a case study in Cambodia. Environment Science and Policy, 13, 384-392. Sato T., 2011. Methods for biomass monitoring. International technical seminar on REDD+ knowledge sharing and discussion from practices and experiences, Tokyo, Japan 16-17 February, 2011. (http://www.ffpri.affrc.go.jp/redd-rdc/en/seminars/reports/2011/02/ 16/01/23_Tamotsu_Sato.pdf) access on 26/02/2011. Saunier S., 2007. Final calibration/validation report – PRISM GAEL Consultant, Report Reference #GAEL-P237-DOC-007. Schlamadinger B. and Marland G., 1996. The role of forest and bioenergy strategies in the global carbon cycle. Biomass and Bioenergy, 10, 5/6, 275-300. Schlerf M., Atzberger C., 2006. Inverstion of a forest reflectance model to estimate structural canopy variables form hyperspectral remote sensing data. Remote Sensing and Environment, 100, 3, 281-294. Schoups G., Troch P. A., Veroest N., 1998. Soil moisture influences on the radar backscattering of sugar beet fields. Remote Sensing of Environment, 65, 184-194. Schrope M., 2009. When money grows on trees. Nature Reports Climate Change, 3, 101–103, doi:10.1038/climate.2009.78. Schulze E. D., 2006. Biological control of the terrestrial carbon sink. Biogeosciences, 3, 147-166. Shimada M., Isoguchi O., Tadono T., Isono K., 2009. PALSAR polarimetric calibration and geometric calibration. IEEE, Transactions on Geoscience and Remote Sensing, 47, 12, 3915-3932. Shimada M., 2010. Ortho-rectification and slope correction of SAR data using DEM and its accuracy evaluation. IEEE Journal of Selected Topics in Applied Earth Observations and Remote Sensing, 3, 4, 657-671. Shono K., Cadaweng E. A., Durst P. B., 2007. Application of assisted natural regeneration to restore degraded tropical forestlands. Restoration Ecology, 15, 4, 620-626. Simard M., Rivera-Monroy V.H., Ernesto Mancera-Pineda J., Castañeda-Moya E., Twilley R.R., 2008. A systematic method for 3D mapping of mangrove forests based on shuttle radar topography mission elevation data, ICEsat/GLAS waveforms and field data: Application to Ciénaga Grande de Santa Marta, Colombia. Remote Sensing of Environment, 112, 5, 2131–2144. Singh G., Yamaguchi Y., Park S. E., 2011. Utilization of four component scattering poser decomposition method for glaciated terrain classification. Geocarto International, doi: 10.1080/10106049.2011. 584978. Sivanpillai R., Smith C. T., Srinivasan R., Messina M. G., Wu X. B., 2006. Estimation of managed loblolly pine stand age and density with Landsat ETM+ data. Forest Ecology and Management, 223, 247-254. Skutsch M., 2010. Community forest monitoring for the carbon market: opportunities under REDD. Earthscan, London. Skutsch, M. M. and Ba, L., 2010. Crediting carbon in dry forests: The potential for community forest management in West Africa. Forest Policy and Economics, 12, 4, 264-270. Skutsch, M. and Trines, E., 2011. The policy context of community monitoring for REDD+. In M. Skutsch, ed. Community forest monitoring for the carbon market. Opportunities under REDD. London, Washington DC: Earthscan, 43-60. Steininger M. K., 2000. Satellite estimation of tropical secondary forest aboveground biomass: Data from Brazil and Bolivia. International Journal of Remote Sensing, 21, 6, 1139–1157. Stephens S. S., Wanger M. R., 2007. Forest plantation and biodiversity: A fresh perspective. Journal of Forestry, 105, 6, 307-313. Streck C., Gomez-Echeverri L., Gutman P., Loisel C., Werksman J., 2009. REDD+ Institutional Options Assessment: Developing an Efficient, Effective, and Equitable Institutional Framework for REDD+ under the UNFCCC. Meridian Institute. Washington DC, United State of America. Sun G., Ranson K. J., Kimes D.S., Blair J.B., Kovacs K., 2008. Forest Vertical Structure from GLAS: An Evaluation Using Lvis and Srtm Data. Remote Sensing of Environment, 112, 1, 107-117. Sun G., Ranson K. J., Guo Z., Zhang Z., Montesano P., Kimes D., 2011. Forest biomass mapping from lidat and radar synergies. Remote Sensing of Environment, doi:10.1016/j.rse.2011.03.021. Suzuki K., Ishii K., Sakurai S., Sasaki S., 2006. Plantation technology in tropical forest science. Springer, 53-66. Takaku K., Futamra N., Iijima T., Tadono T., Shimada M., Shibasaki R., 2004. High resolution DEM generation from ALOS PRISM data – simulation and elevation. IGARSS, 2004. TEEB., 2010. The Economics of Ecosystems and Biodiversity for business. Trisasongko B. H., 2010. The use of polarimetric SAR data for forest disturbance monitoring. Sens Imaging, 11, 1-13. Tyler S., 2006. Communities, livelihoods, and natural resources: Action research and policy change in Asia. Intermediate Technology Publications, ISBN 1-85339-638-9. Trotter C. M., Dymond J. R., Goulding C. J., 1997. Estimation of timber volume in a coniferous plantation forest using Landsat TM. International Journal of Remote Sensing, 18, 2209-2223. Ulaby F. T., Moore R. K., Fung A. K., 1982. Microwave Remote Sensing: Active and Passive. Volume 2: Radar Remote Sensing and Surface Scattering and Emission Theory, Addison- Wesley, Advanced Book Program: Reading, Massachusetts, 609. UNEP., 2009. Cambodia environment outlook, Ministry of Environment, Kingdom of Cambodia. Van Beukering, P. J. H., Leeuw, K. van der, Grogan, K., Hansfort, S. L., 2009. Reduced Emission from Deforestation and Degradation in the Southern Cardamom Ecosystem, Cambodia. IVM Report (R-09/13). Institute for Environmental Studies, VU University, Amsterdam. Van Der Werf, G. R., Morton, D. C., De Fries, R. S., Olivier,J. G. J., Kasibhatla, P. S., Jackson, R. B., 2009. CO2 emissions from forest loss. Nature Geoscience, 2, 737–738. VanZyl J., 1993. The effect of topography on radar scattering from vegetated areas. IEEE Transactions on Geoscience and Remote Sensing, 31, 1, 153-160. Wang G., Zhang M., Gertner G. Z., Oyana T., McRoberts R. E., Ge H., 2011. Uncertainties of mapping aboveground forest carbon due to plot locations using national forest inventory plot and remotely sensed data. Scandinavian Journal of Forest Research, 26, 360-373. Wang H., Huang Q., Pi Y., 2009. Polarization decomposition with S and T matrix of a PolSAR image. ICCCAS, 2009. Wang Q., Adiku S., Tenhunen J., Granier A., 2005. On the relationship of NDVI with leaf area index in a deciduous forest site. Remote Sensing of Environment, 94, 244–255. Wang Y., Kasischke E. S., Melack J. M., Davis F. W., Christensen N. L., 1994. The effects of changes in Loblolly pine biomass and soil moisture on ERS-1 SAR backscatter. Remote Sensing of Environment, 49, 25–31. Watanabe M., Shimada M., Rosenqvist A., Tadono T., Matsuoka M., Romshoo A.A., Ohta K., Furuta R., Nakamura K., Moriyama T., 2006. Forest structure dependency of the relation between L-band σº and biophysical parameters, IEEE Transactions on geosciences and remote sensing, 44, 11, 3154-3165. Watson R. T., Noble I. R., Bolin B., Ravindranath N. H., Verardo D. J., Dokken D. J. (eds)., 2000. Land use, land-use change, and forestry. A special report of IPCC. Cambridge University Press, Cambridge. Werf G. R., Morton D. C., Defries R. S., Olivier J. G. J., Kashibhatla P. S., Jackson R. B., Collatz G. J., Randerson J. T., 2009. CO2 emissions form forest loss. Nature Geocsience, 2, 737-738. Wijaya A., 2010. 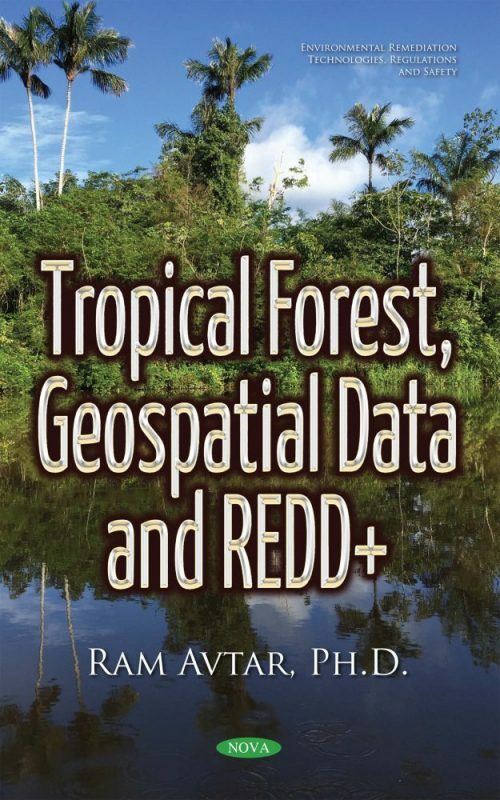 Complex land cover classifications and physical properties retrieval of tropical forests suing multi-source remote sensing. Ph D thesis, The Technische Universitat Bergakademie Freiberg. Xiao X. M., Boles S., Frolking S., Li C. S., Babu J. Y., Salas W., Moore B., 2006. Mapping paddy rice agriculture in South and Southeast Asia using multi-temporal MODIS images. Remote Sensing of Environment, 100, 1, 95–113. Yamaguchi Y., Moriyama T., Ishido M., Yamada H., 2005. Four-component scattering model for polarimetric SAR image decomposition, IEEE Transaction on Geoscience Remote Sensing, 43, 8, 1699-1706. Yamaguchi Y., Yajima Y., Yamada H., 2006. A four-component decomposition of POLSAR images based on the coherency matrix. IEEE Geoscience and Remote Sensing Letter, 3, 292–296. Zebker H. A., Van Zyl J. J., Durden S. L., Norikane L., 1991. Calibrated imaging radar polarimetry: Technique, examples, and applications. IEEE Transaction on Geoscience and Remote Sensing, 29, 6, 942–961. Zhao K., Popescu S., Nelson R., 2009. Lidar remote sensing of forest biomass: A scale-invariant estimation approach us airborne lasers, Remote sensing of environment, 113, 182-196.